Car dealerships are a volume-based industry, what matters most is the number of cars sold each month. With the average dealer using six or seven different software systems to retrieve reports, analytics, and insights, the data is both fragmented and cumbersome. Florida-based AutoMatrix Dealer Software offers a complete dealership management solution that is specifically designed for independent dealers.“This software was built by an independent car dealer, for independent car dealers. It was built out of the need to run dealerships,” says Robert Christman, VP of Sales at AutoMatrix Dealer Software. AutoMatrix’s software has been designed from the ground up to be user-friendly, robust, and functional. The company’s software incorporates all aspects of the dealership into one system that works in realtime, giving dealers the ability to make informed, data-driven decisions and increase the efficiency of the dealership’s operation. The featured mobile integration gives dealers all the required information on the go and in the palm of the hand. 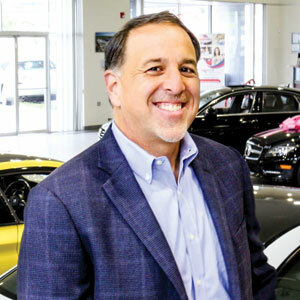 The software has over 120 different standard reports and can also create custom analytics for dealerships that desire additional insights.“We’re helping dealers stay ahead of the ever-changing industry, and we’re saving them, on average, over two hours per day by having these insights and technologies run smoother,” explains Christman. AutoMatrix created a buy here pay here (BHPH) module, which not only tracks the payments, but also accepts ACH (Automated Check Handling) or credit card payments which automatically record payments in the accounting module. The software traces payment history and sends out payment reminders via SMS and email. For those customers that do not use either, the company offers a behavior predictor which, based on a customer’s payment history, can accurately predict payment behavior. Currently, in the automotive industry, 12 percent of used car sales are BHPH, and as the economy is strong, banks have tightened up on credit to prospective buyers. As a result, one out of eight consumers buy a used car with the BHPH option. “We have just rolled out the BHPH module, and we have simplified the accounting process so that it doesn’t require a CPA,” adds Christman. The cloud-based software has a secure base, where all the data is encrypted, and each dealer has their own encryption key. With the incorporation of real-time processing, dealers can feed vehicle data via APIs, which are instantaneously added to dealership inventories. Dealers can overlay pictures, mark inventory as “in-transit”, and even price inventory on their mobile device; increasing turn through the ability to sell cars before they reach the lot. Prior to their conversion to AutoMatrix, the average turn time for one specific dealer customer was 75-80 days. After only six months using AutoMatrix’s robust insights and analytics as a decision making tool, turn was reduced to only 11.5 days. Specifically, AutoMatrix allowed them to better manage vehicle selection, pricing, merchandising, website optimization and back end profit. Additionally, the dealer was able to provide a better experience for every customer; in some cases, completing the showroom buying time to under ten minutes start to finish! AutoMatrix plans to constantly add more functionality to its software in an effort to continue to simplify dealership processes. It is working on software for key machines, which will allow dealers to track vehicle locations, test drive history, and recon activity. Reporting can show instances where the key has been taken, but the car has not been test driven, with supporting notes. AutoMatrix is making continuous updates, based on user experience, to ensure that their inventory modules remain second to none.